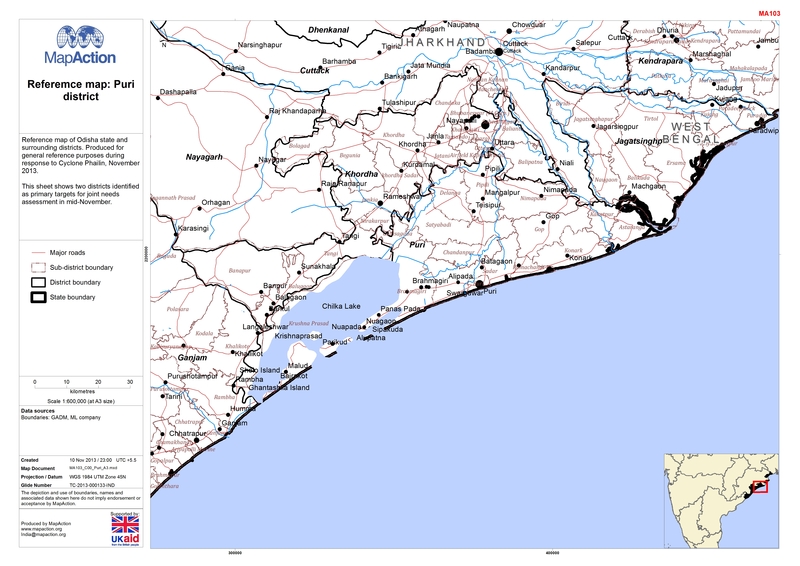 Reference map of Puri district. Produced for general reference purposes during response to Cyclone Phailin, November 2013. This sheet shows two districts identified as primary targets for joint needs assessment in mid-November.